So as I stated the other day, we are ready for spring. We have been busy thinking about spring crafts and putting away our winter decorations. Today I am going to focus on a couple rainbow crafts we have done. After all, rainbows seem to say spring as well as St. Patrick's Day. The first one I saw on I Can Teach My Child. 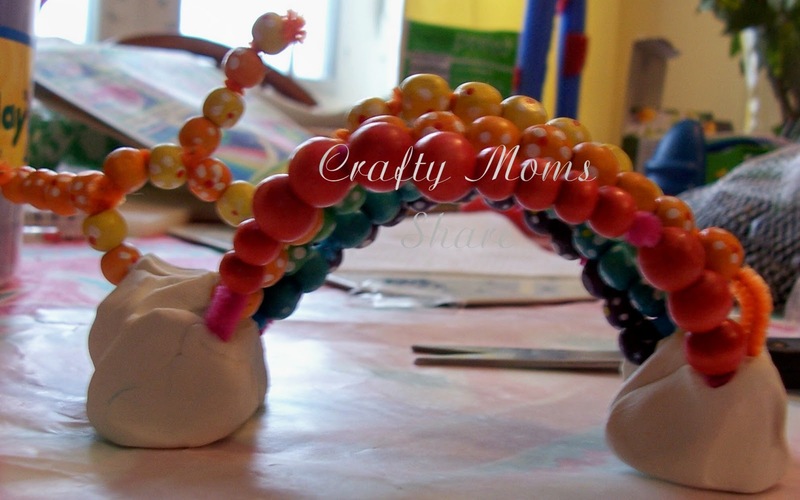 We changed it a bit by using wooden beads, white clay and adding a sun coming out of the clouds. 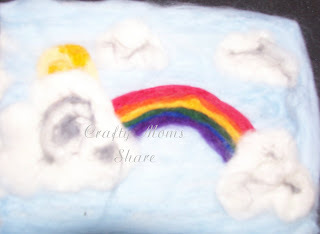 After making this craft, I decided to make Hazel a needle felted picture of a rainbow. 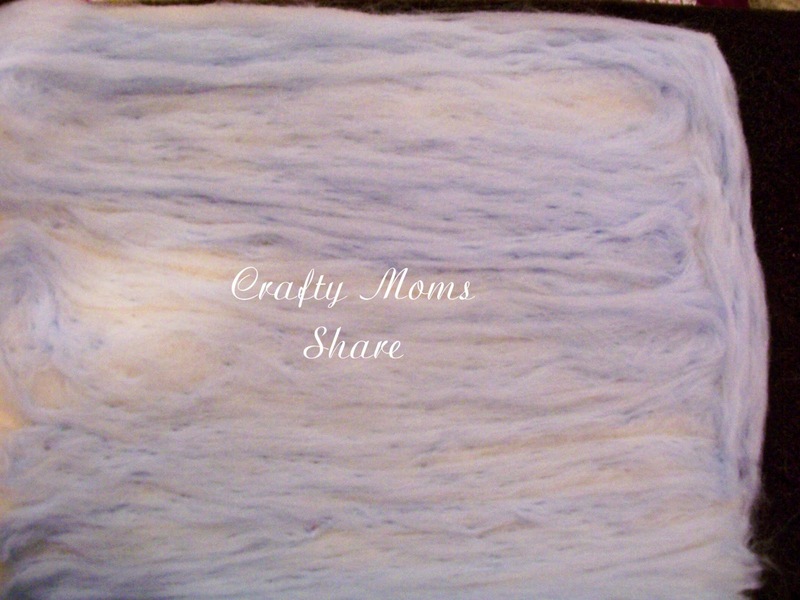 I took a piece of white wool felt and needled a light blue roving all over it for the background. Then I added the rainbow using small amounts of each color. After the rainbow, I added some clouds and tried to make them three-dimensional and added a bit of grey to the white in them. And of course I added some sun, so it would be like the craft we did together. Now to find a place to hang it. Oh, I love it-- beautiful! 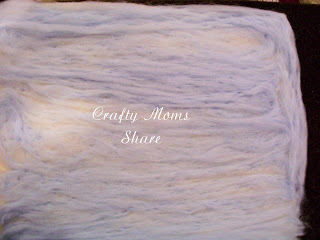 Love the wool felting - now I want to make one too!